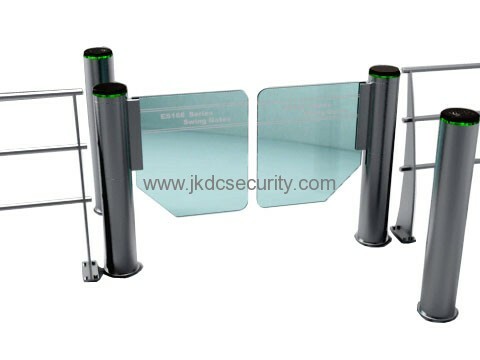 JKDC-JD168 cylinder swing barrier serial, a complement of the Intelligent High-speed Swing Barrier, is a kind of high quality and high level product with completely independent property rights. Cylinder swing barrier is mainly installed in such conditions that the application is relatively more complicated and High-speed Swing Barrier are not suitable for. It takes up less areas and is convenient to combination. The equipment can be used together with the control equipments, such as entrance guard, time attendance, and computer etc., to realize the high quality management control for entrance and exit.